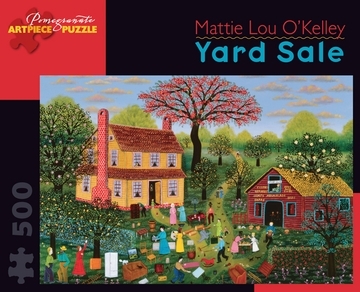 Mattie Lou O’Kelley used bright, vivid colors to create landscape paintings of her early life in rural Georgia. In this resplendent springtime scene, the artist includes a wealth of detail to depict memories of a local yard sale. The small girl sitting in the doorway may be a self-portrait of O’Kelley.